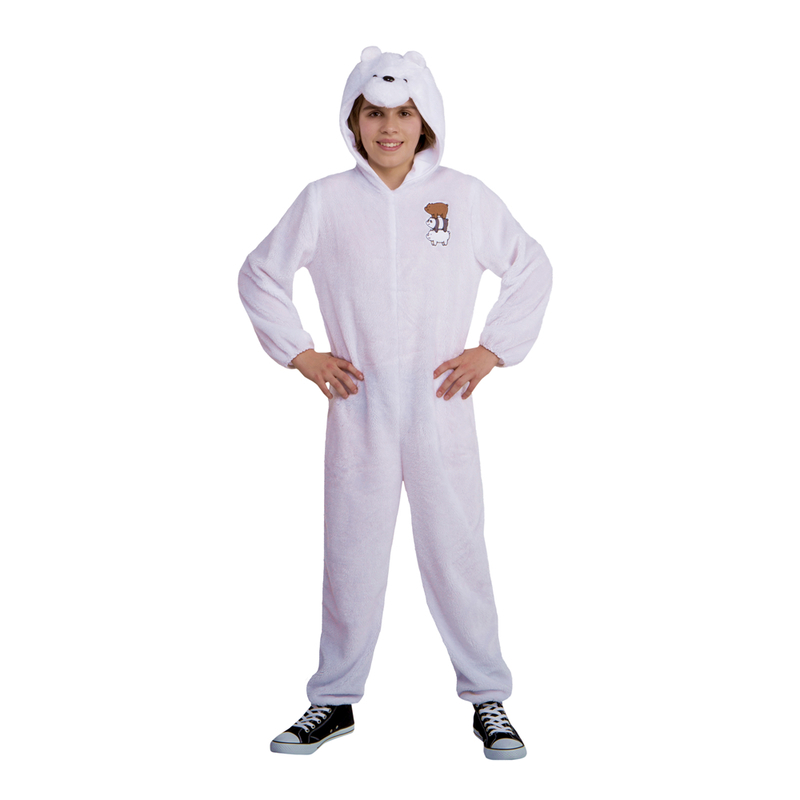 Become an internet sensation in the We Bare Bears Ice Bear Teen Costume. This one-piece jumpsuit is as soft as any polar bear and very comfortable to wear. The entire costume is white--polar bear, after all--and the back has velcro tabs that make entering and exiting the costume a breeze. Where the left breast pocket would be are the three bears doing their bear stack.